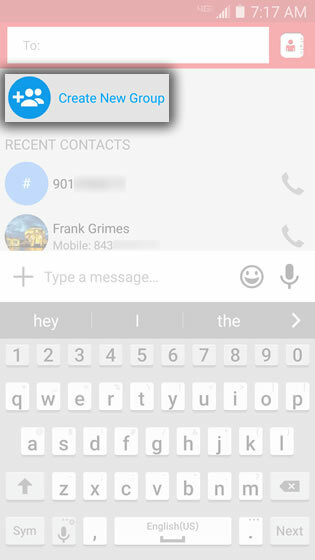 From the 'Messages' tab, tap the Compose icon . From the main screen, tap Create New Group. 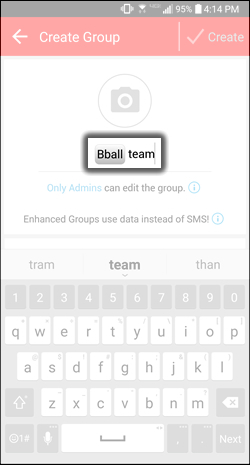 If desired, select Admins who can edit the group. 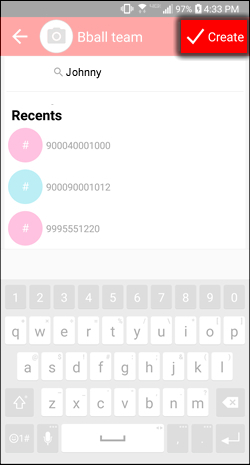 Select members by typing in the name or phone number or selecting from the Recents list then tap Create.